The Fragrant Harbour: Silk Road: Chinese Hotels' Version of "International"
Silk Road: Chinese Hotels' Version of "International"
During our Silk Road trip, we checked in and out of a number of hotels and I can barely remember their names. These local hotels claimed they were at least four star with "international" in their names, but they were far from western standards. Many of them were relatively new hotels, but inside the rooms they looked dim (not enough electricity for the lights), the water pressure was very low, and in many cases things were installed crooked. 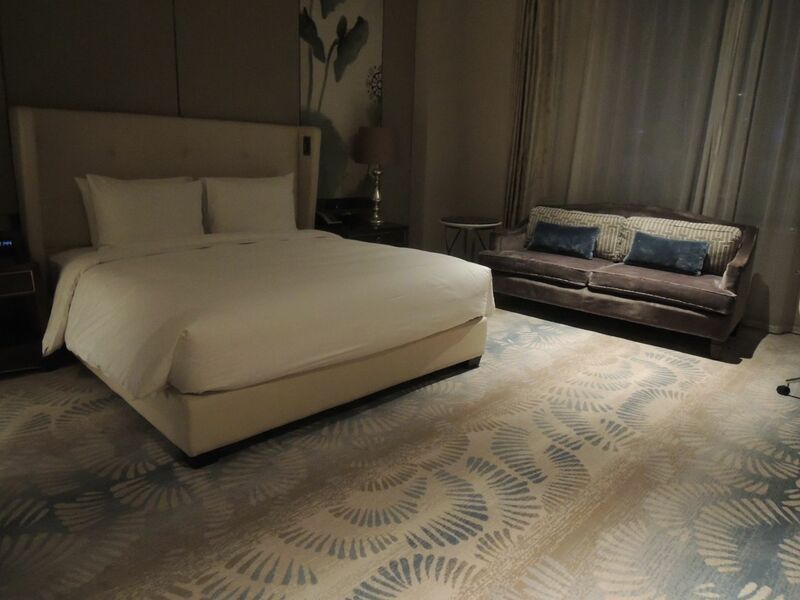 Here are a few observations with photographic evidence of these hotels missing the mark. 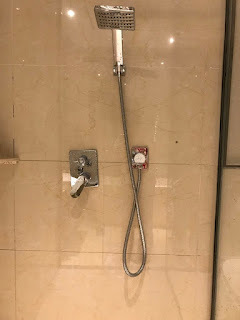 One of the first hotels we stayed at in Lanzhou tried really hard to give clear explanations in the bathroom. 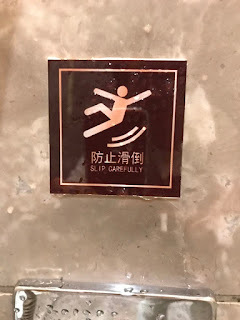 The glass shower door had a sign that said: "Jog gently pull", and nearby a sign that read: "Slip carefully". Yikes! 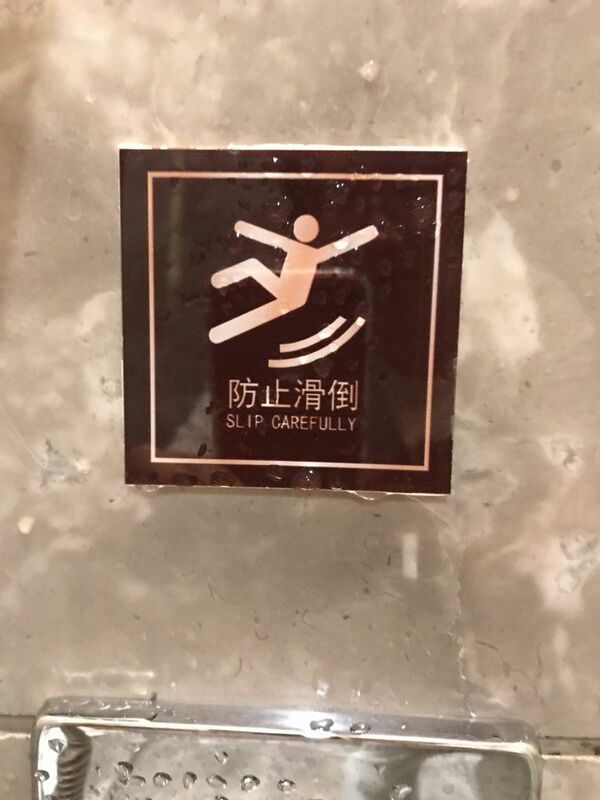 How does one "slip carefully"? 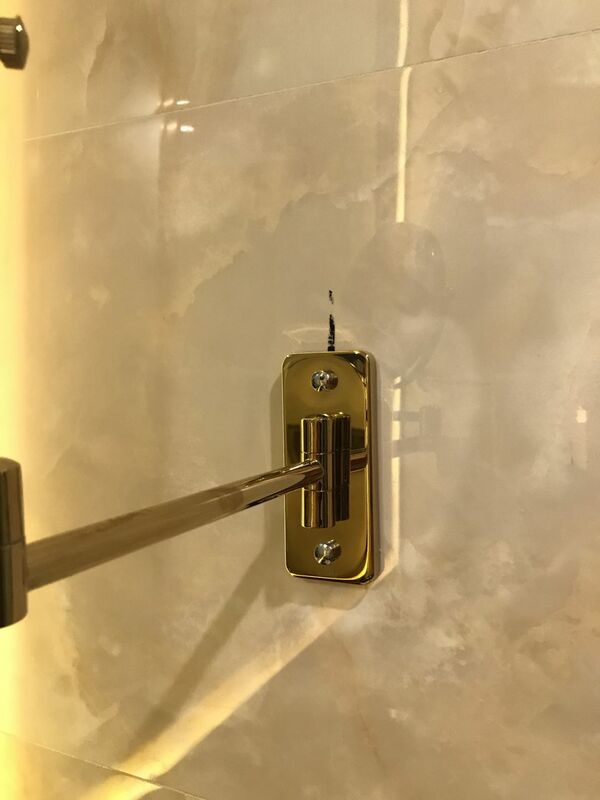 Another fancy hotel had a marble bathroom which was impressive, but the lever to turn the water on for the shower was installed crooked. And in the room by the bed there was a sign instructing guests not to smoke in bed, but next to it was an ashtray... how about advising guests not to smoke at all? It was supposed to be a non-smoking room anyway. Our best hotel on the entire trip was in Urumqi where we spent the night before flying to Kashgar -- it was the Hilton Urumqi. Our breakfast buffet spread the next morning was also top notch. Usually the Chinese hotels had only Chinese dishes -- various vegetables that were mostly spicy, along with congee, millet congee, fruits, boiled egg, salad, yoghurt in plastic cups and steamed buns. But at the Hilton Urumqi there was all the above and western-style food, like bacon, eggs fried how you wanted, noodles cooked a la minute with garnishes of your choice, even waffles. Needless to say we loaded up. Finally in Kashgar, our hotel room was quite nice, two large double beds, with a big bathroom that included a shower and a bathtub. We were given a fruit plate once a day, though a complaint about the toilet paper rolls is that they were so small -- one third the size of a usual toilet paper roll. On top of that they were thick so they ran out very quickly. We went through at least three rolls per day. 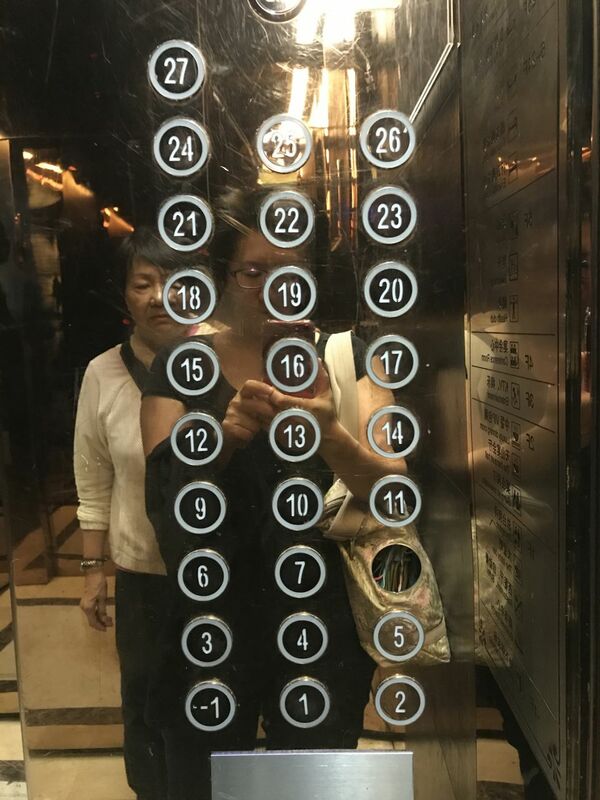 And in the elevator, the buttons on the left side worked, not the ones on the right. 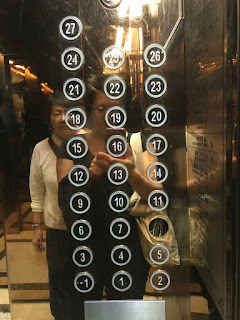 Some elevators even had holes where numbers should have been that was further evidence they were a facade and didn't work! 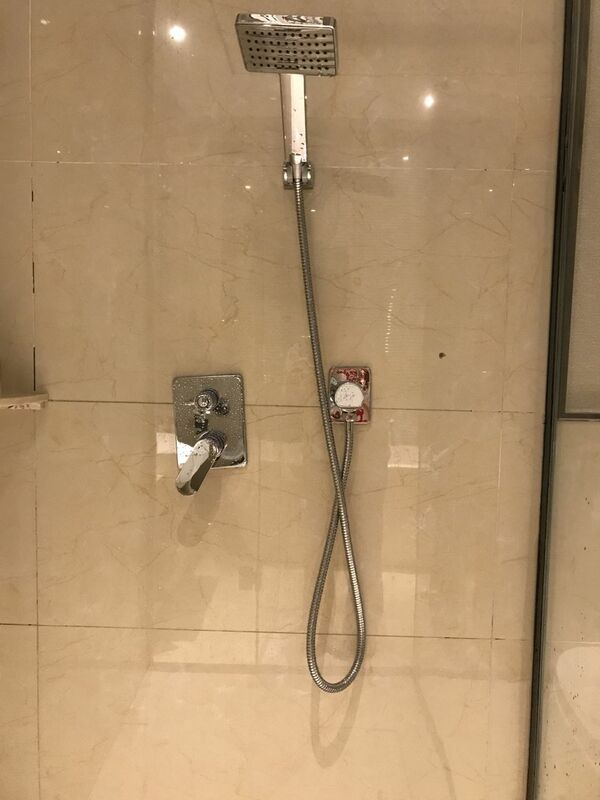 Chinese hotels still have a ways to go in reaching international standards. They really need more exposure to Western ones and understanding where the gaps are and fixing them. As more Chinese travel within the country, they are going to expect better facilities and service. It's a challenge that should be tackled the sooner the better.